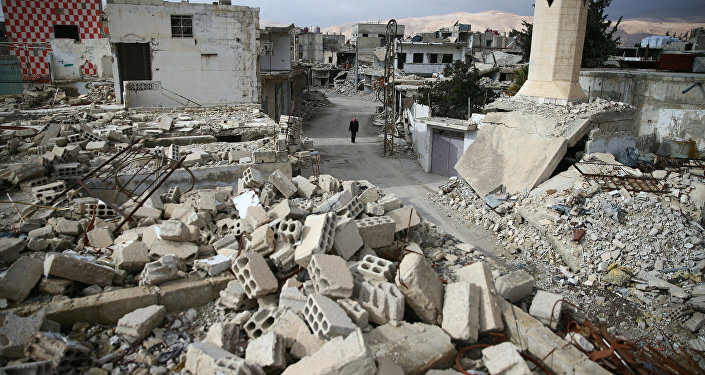 The situation in the Damascus suburb controlled by terrorists from various Jihadists groups is deteriorating, the Russian military said, despite the UNSC unanimously adopting a resolution calling for the establishment of a 30-day truce and a humanitarian pause. The militants, including those from by Jaysh al-Islam and Jabhat al-Nusra terrorist groups are, holding hundreds of people in East Ghouta, including children and women, hostage, according to the Russian reconciliation center's spokesman Maj. Gen. Yuri Yevtushenko. "Despite the UN Security Council resolution on the establishment of a 30-day ceasefire in Syria, the situation in Eastern Ghouta continues to worsen," Yevtushenko said at a daily briefing on Monday. Meanwhile, the Russian reconciliation center said in a separate statement it had prepared a humanitarian corridor running from Eastern Ghouta to the Wafedeen refugee camp with the assistance of the Syrian Arab Red Crescent (SARC). "People will get the directions for exit routes by information leaflets spread in the area, loudspeakers and SMS-messaging," the center stated, also calling on the Syrian militants to demine approaches to the humanitarian corridor. Moreover, Yevtushenko went on, the militants continue to attack residential areas of Damascus from the enclave, firing 228 mortar and artillery shells over the past week. 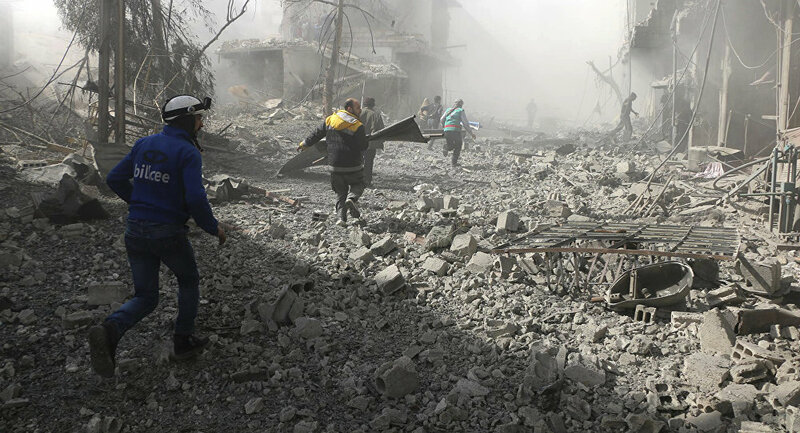 "Despite reconciliation statements made by Jaysh al-Islam, insurgents continue mortar shelling from the controlled territory targeting the city of Damascus … Four people lost their lives, more than 50 were injured and including 16 children [in a week]," the Russian reconciliation center said in a statement. The Russian Defense Ministry has said that armed groups are trying to break the ceasefire by attempting to provoke the Syrian army. On Saturday, the UN Security Council unanimously passed resolution 2401 that urges all parties to the conflict to immediately stop all clashes and adhere to a long-term humanitarian pause on the entire territory of Syria in order to ensure the safe and unhindered supply of humanitarian aid as well as medical evacuation of those injured.